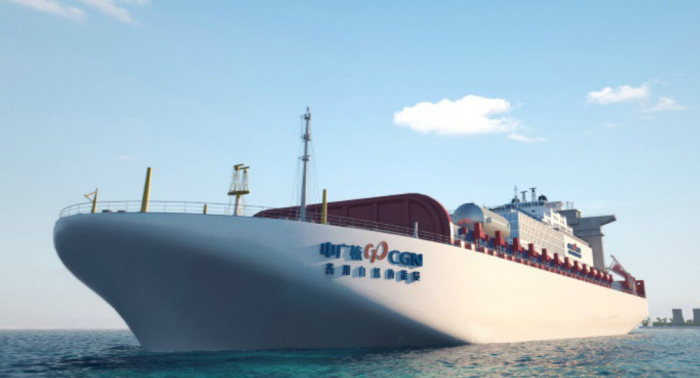 The construction of China's first ever floating nuclear power plant is set to be launched before the end of 2019, the Global Times newspaper reported, citing the head of China's Nuclear Power Institute (NPI), Luo Qi. Luo noted that such a plant would be protected from earthquakes, take up much less space than a conventional nuclear power plant and will emit zero pollution into the environment, the outlet reported on Wednesday. Floating nuclear power plants, which consist of a special offshore platform equipped with nuclear reactors, are designed to ensure power supplies to remote areas, for example, offshore oil and gas drilling sites or islands. Back in 2016, Сhina National Nuclear Corporation (CNNC) said that the construction of the floating plant would be launched by the end of that same year and would be commissioned in 2019, however, the implementation of the project was delayed. In November 2018, CNNC said that preparations for the construction of the plant had started off the coast of the country's eastern Shandong province. The plant is reportedly estimated at around 14 billion yuan ($2.1 billion) and is expected to be put into commission in 2021.